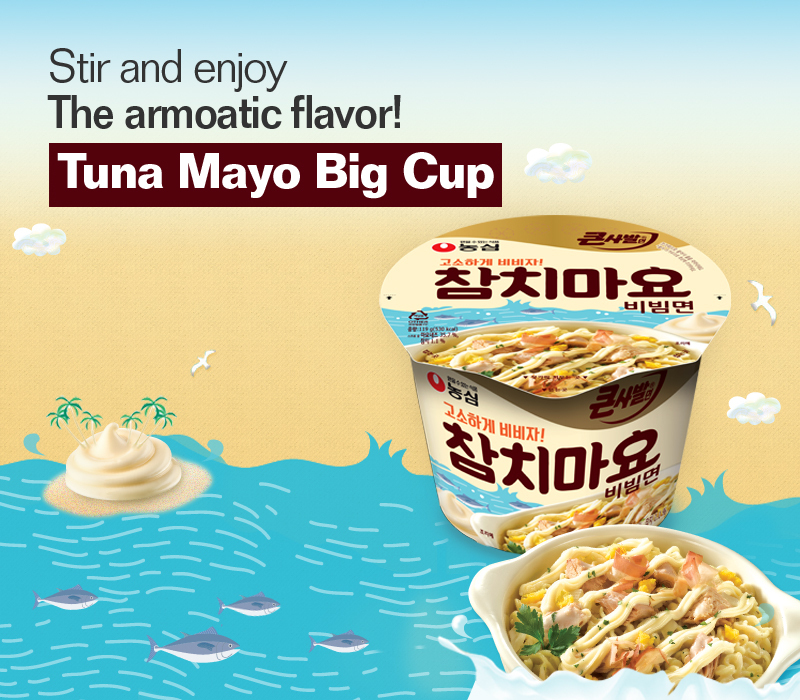 Tuna mayo big cup is a stir type cup noodle with rich and decadent tuna mayo sauce that young people like. 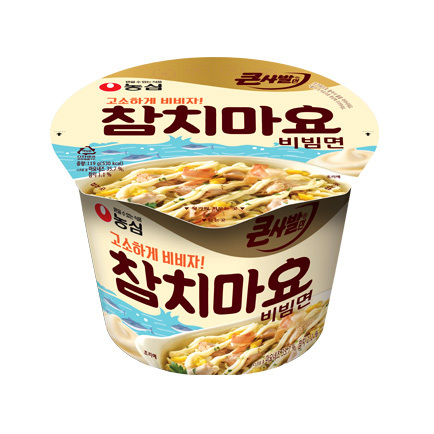 You can now enjoy the taste of tuna mayo combination with ramyun! A hint of black pepper and wasabi intensified the rich tuna mayo flavor! Flakes include tuna balls, eggs, parsley, and so on. 1) Pour the hot water up to the indicated line and wait for 4 minutes. 2) Poke the holes along the indicated circles on the lid and strain the hot water.